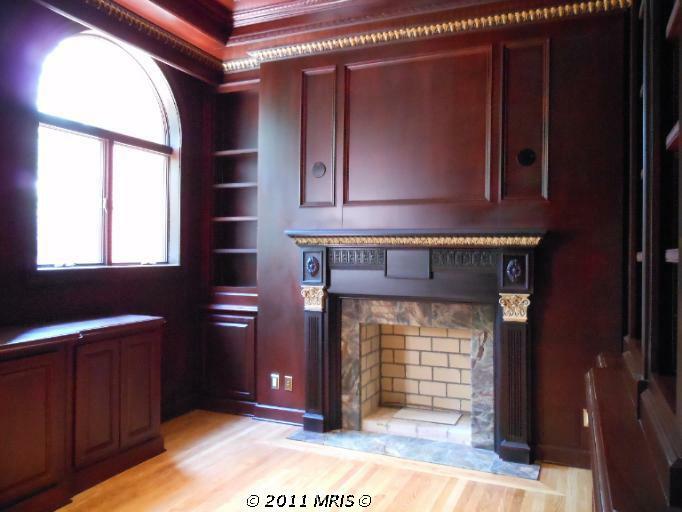 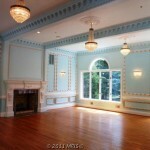 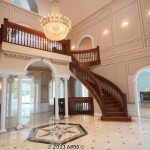 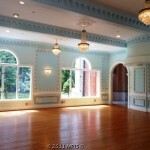 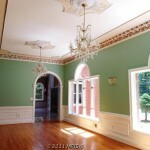 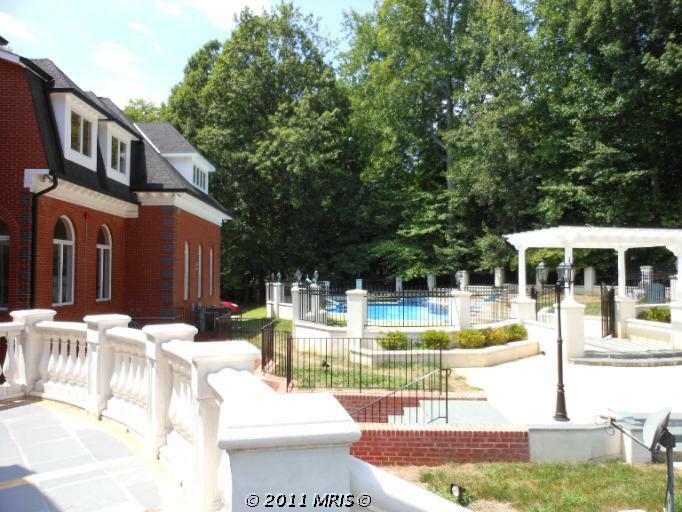 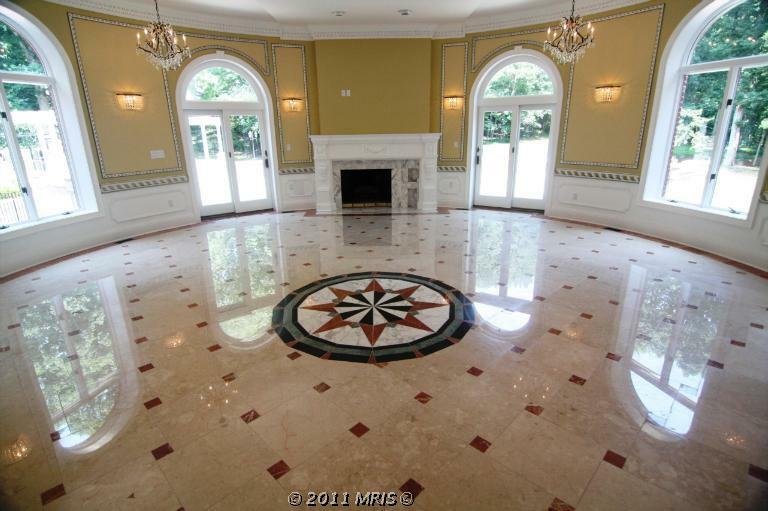 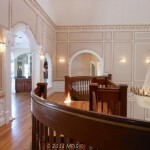 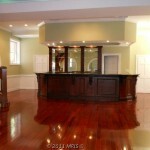 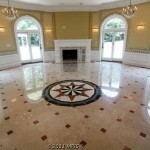 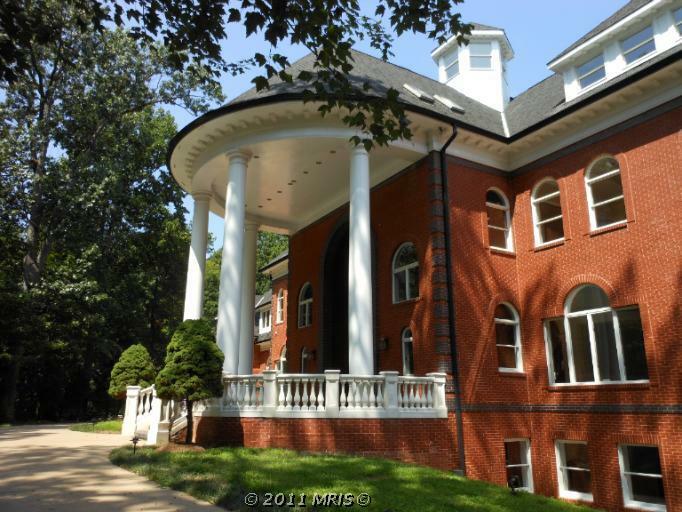 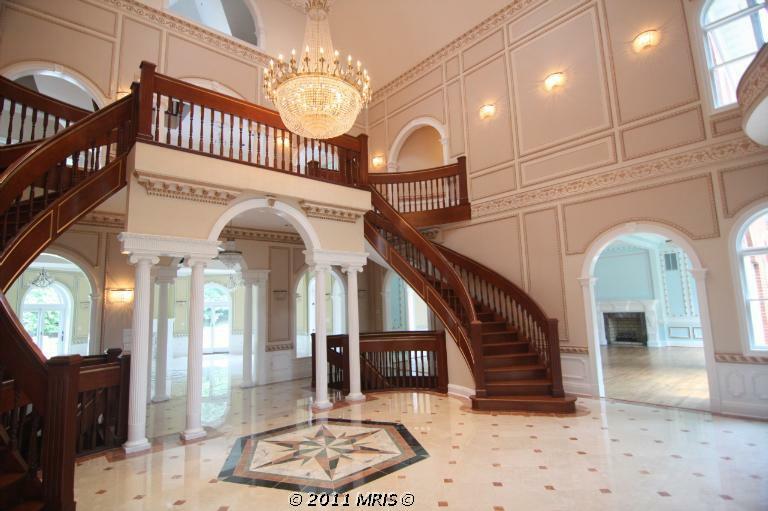 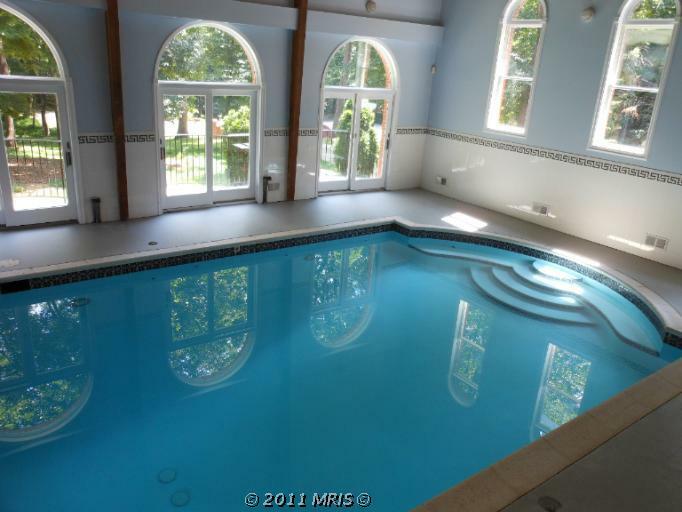 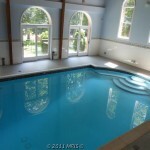 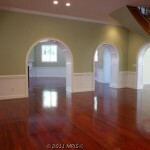 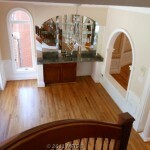 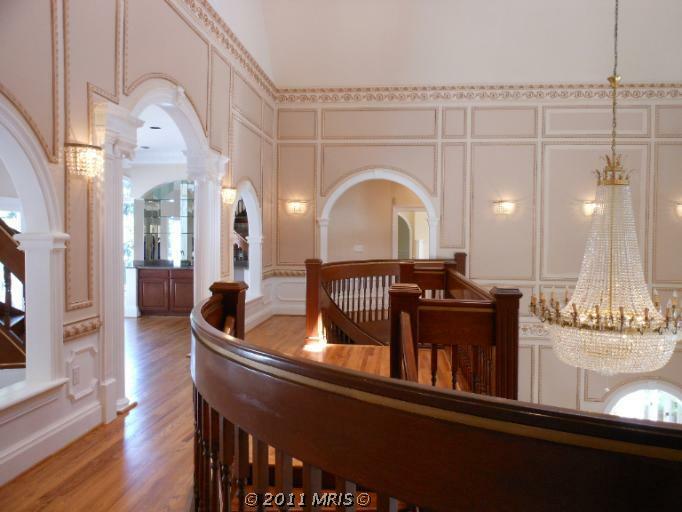 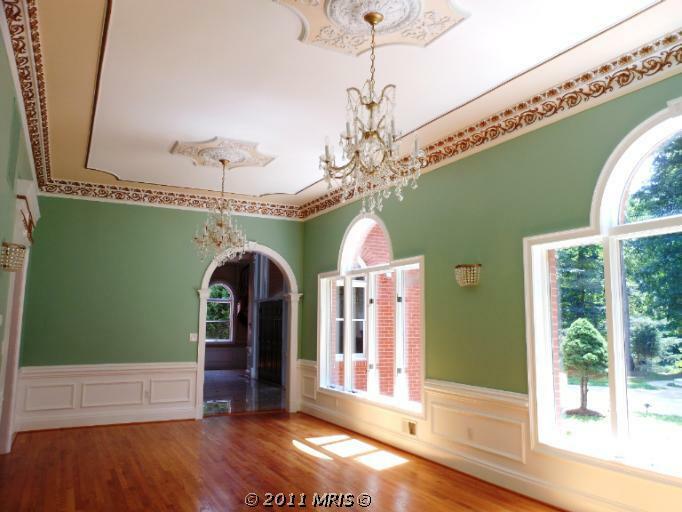 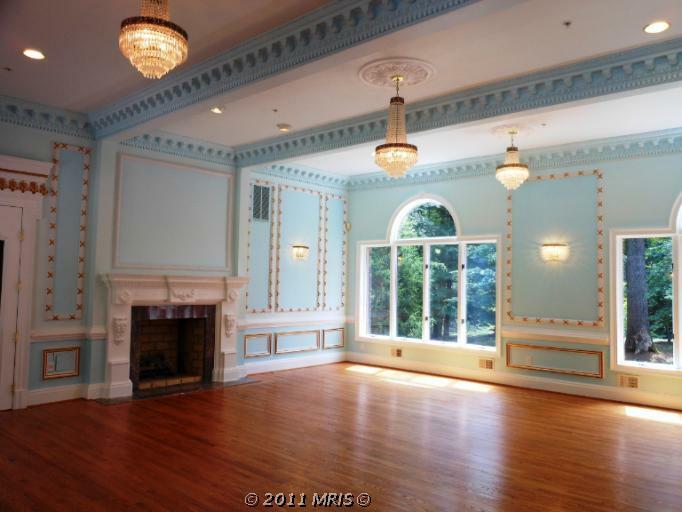 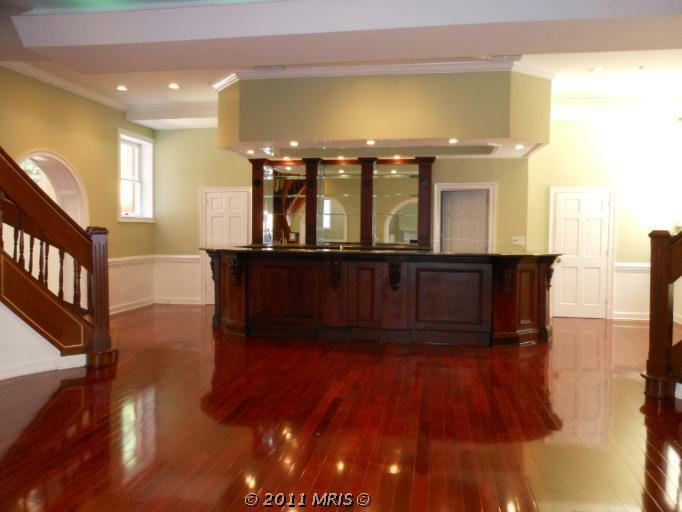 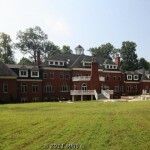 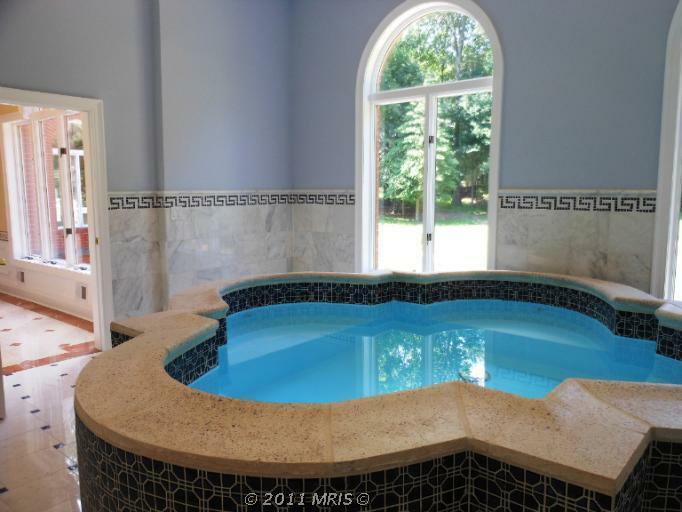 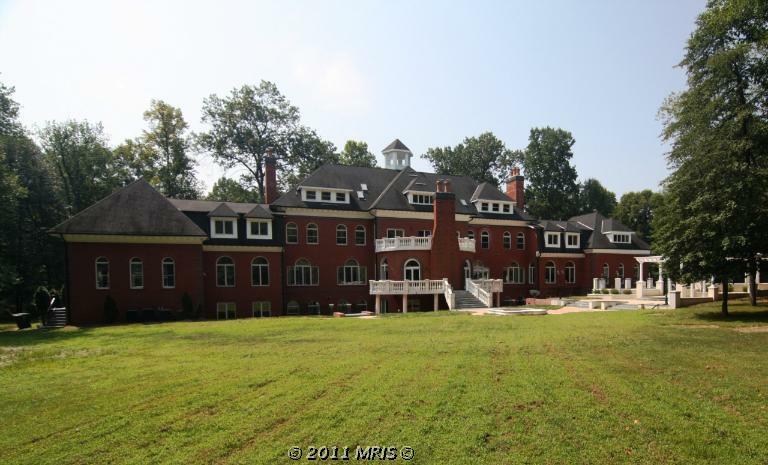 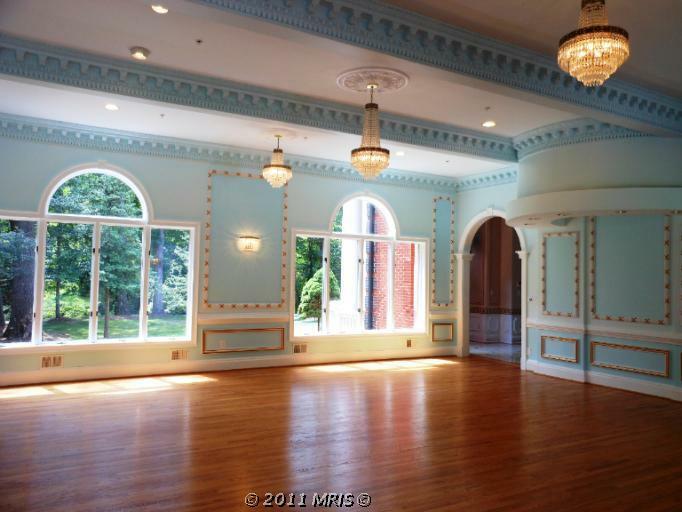 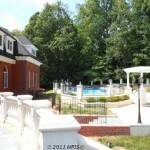 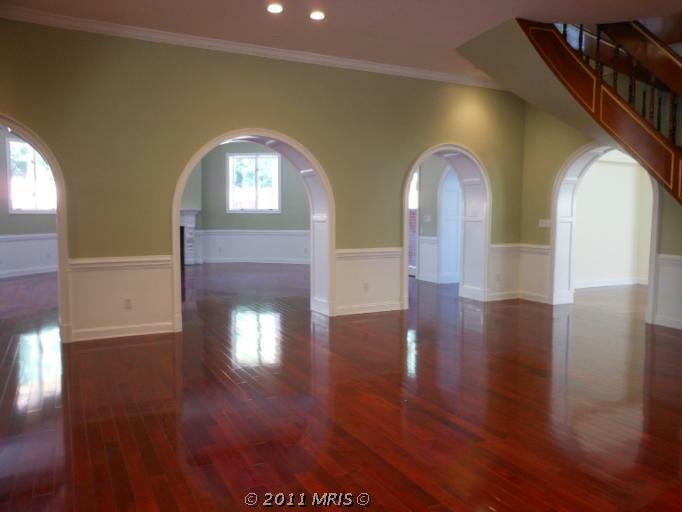 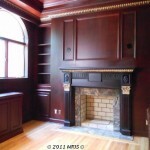 This colonial style mansion is located at 11308 Stoneledge Court in Reston, VA and was built in 1998. 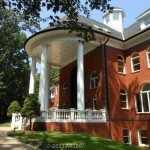 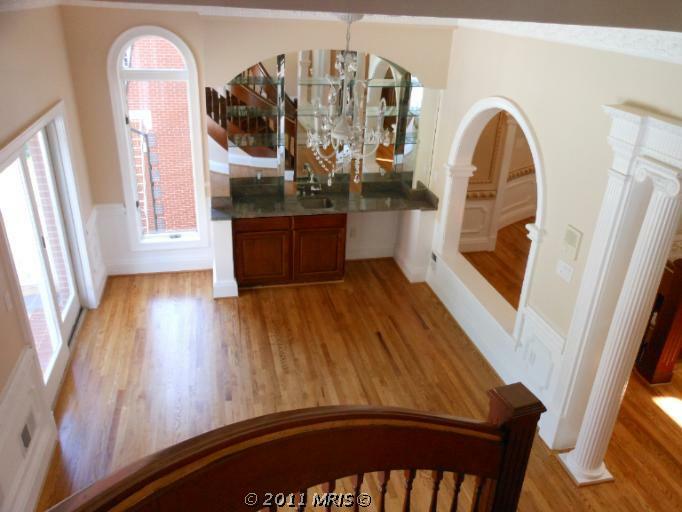 It boasts a large gated driveway and a grand Portico. 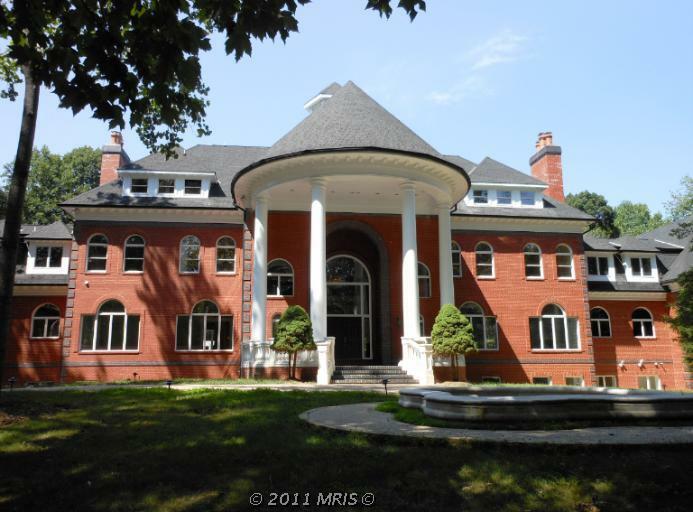 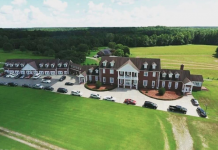 The Embassy style residence boasts 20,000 square feet of living space with a grand double staircase, large formal entertaining rooms, library, 8 bedrooms, 10 bathrooms, indoor swimming pool, outdoor swimming pool and much more. 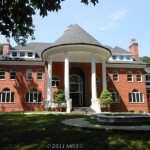 It is listed at $4,499,000.